Living on a small island like Lopez, it doesn’t take very long before you feel like you’ve been someplace before. There probably isn’t another Lopezian who has that feeling more than Jennifer Turunen. 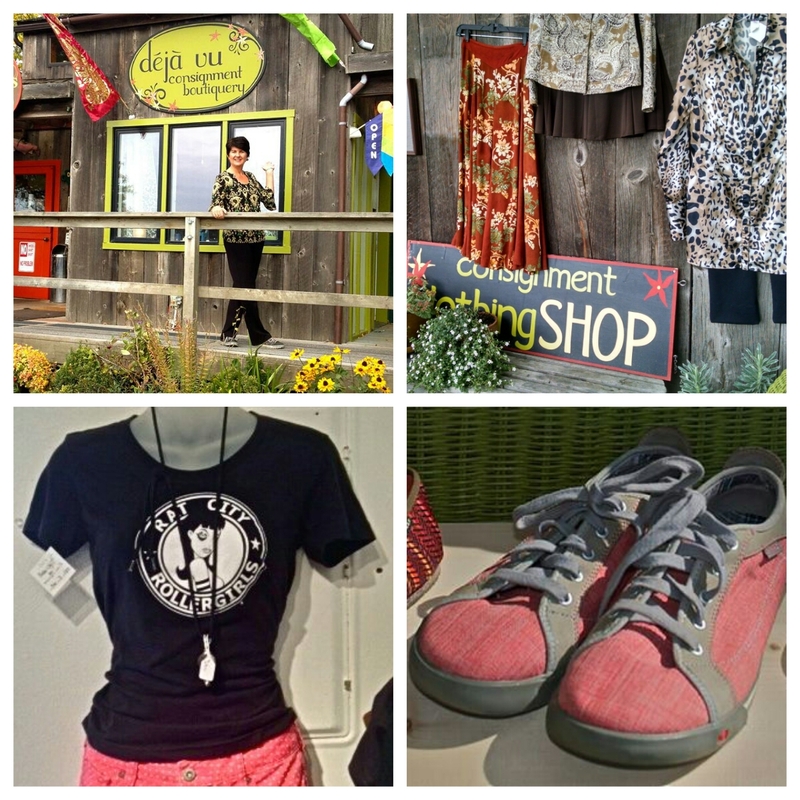 Her consignment clothing store is located in the exact spot she was babysat as a little girl in the 1960s – the old Weeks farm house, now known as Village House, home of Deja Vu. A fifth generation Lopezian, Jennifer knows every square inch of this island. She grew up in the white farm house just north of the Village – the same house in which her brother still lives. 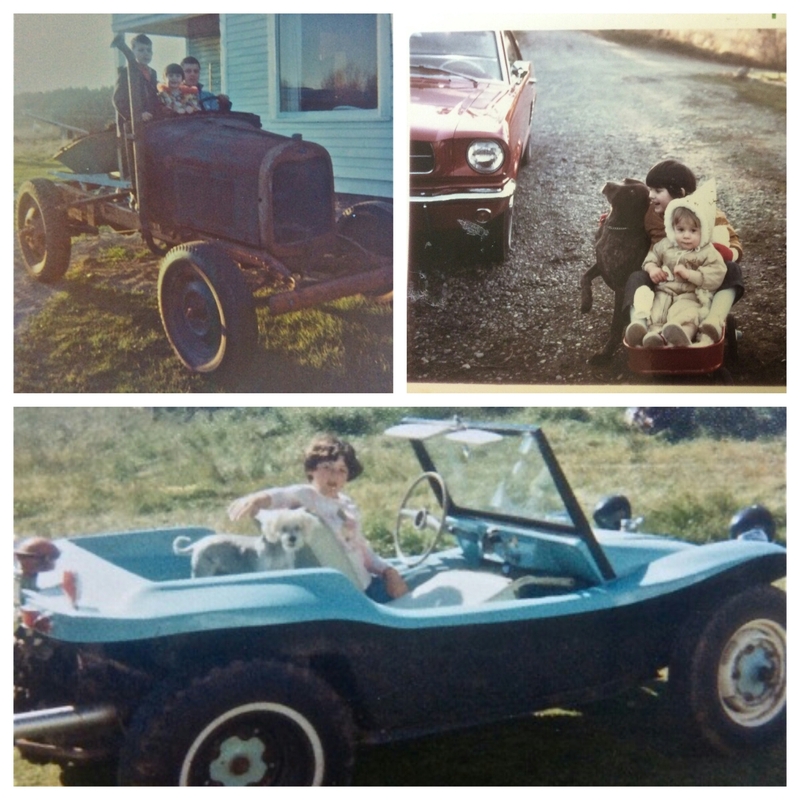 She used to go exploring with her brother in homemade boats they’d sail down the drainage ditches – before she got her own dune buggy that took her across the fields. Jennifer remembers a much quieter Lopez as a girl – one with more farmland, fewer paved roads, a much smaller Lopez Village, just a few hundred island residents. And, no tourists. “It was a much simpler life back then,” Jennifer told me during a recent conversation in her store. When she wasn’t driving all over the island (Jennifer has a thing for traveling), she was raising animals and showing them at the fair. Her dad, Richard “Dicky” Pickering, knew how to keep his kids busy and out of trouble. He built a makeshift tractor out of old Model A parts (called “The Goat” – pictured above) so that they could deliver hay to different parts of the farm. Dicky was always tinkering, according to Jennifer. Today, passersby can see his collection of restored cars parked in front of his place on Fisherman Bay Road on the way into Lopez Village. Jennifer’s family was on Lopez long before the 60s. Her mother’s side of the family arrived in 1909. The Pickerings, on her dad’s side, arrived in 1922. Her great grandparents, Richard and Mary Pickering ran the Lopez Island Telephone company. 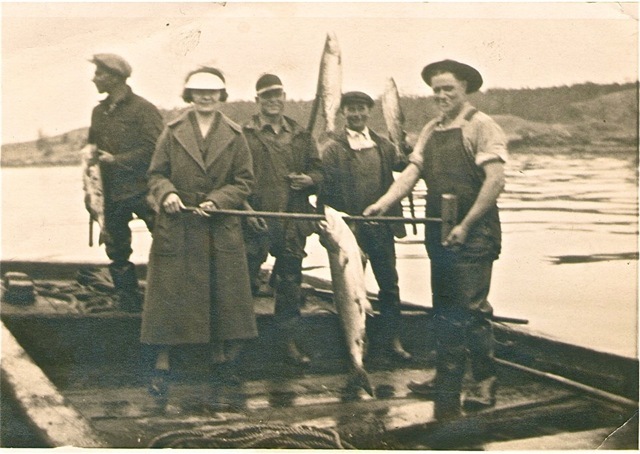 Her grandmother, Marguertie McCauley Goodrow, was born in the old McCauley farm house on Mud Bay Road. 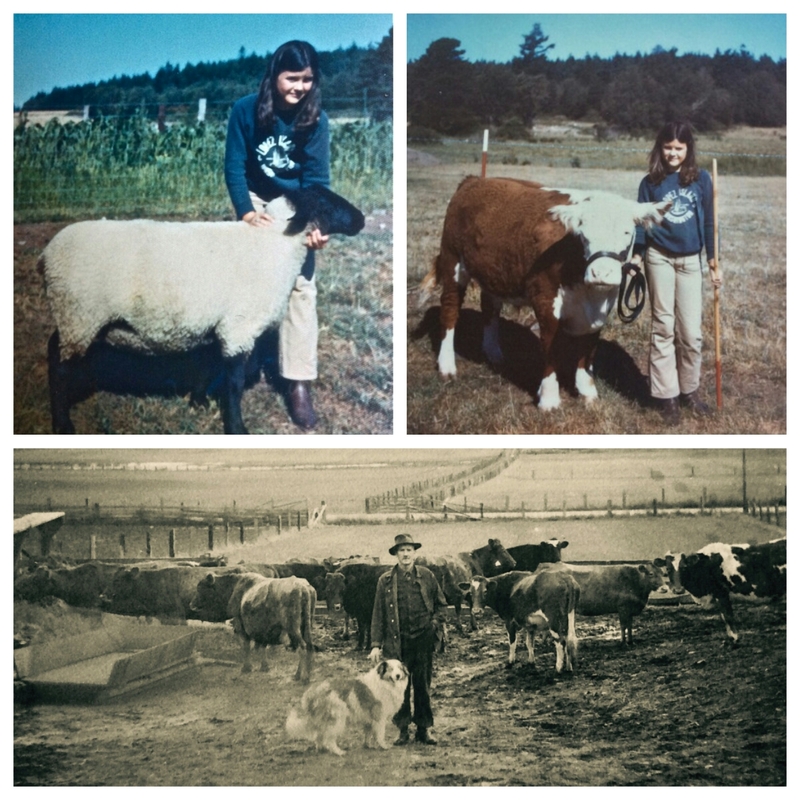 Jennifer remembers when, in 1975, that farm “was bought by a group of hippies.” She remains great friends with the residents there. Though she has fond memories of that quieter, pre-tourist era on Lopez, Jennifer acknowledges the important role that tourism plays in the island’s economy. 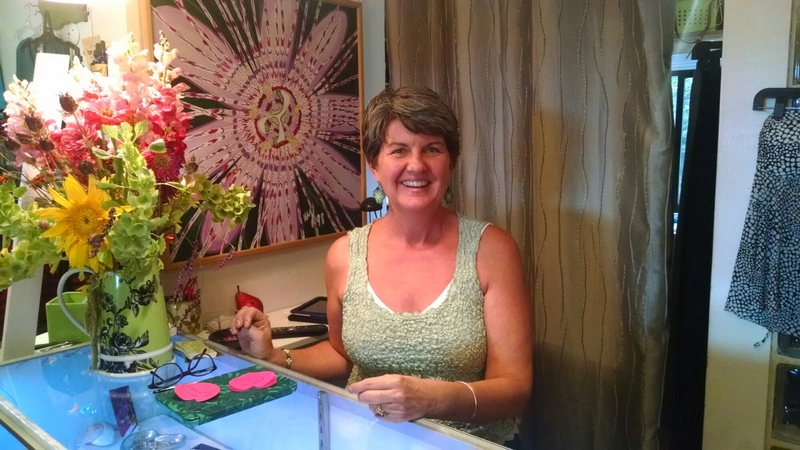 Approximately seventy percent of Deja Vu’s customers come from off island; the rest are made up of “loyal locals.” Almost all of the clothes Jennifer sells are sourced locally. “I love it when they go shopping,” she says, knowing that those people’s surplus items will soon be coming her way. Those things include all kinds of clothing – for women, men and children; shoes; accessories and some small furniture. Deja Vu is tucked next to Isabelle’s Espresso. The place has a nice, relaxed vibe that reflects Jennifer’s tastes. “This is a place where I can have creative input,” she told me. Jennifer has been drawn back to this location again and again since being babysat here in the 60s. As a little girl, she hung out here when it was Washington House Realtors – the building’s first commercial use after the Weeks sold the farm house. For a time, Jennifer worked here when it was Lopez Village Properties, and then again as a barista at Isabelle’s. Now she’s running her own store here. Talk about déjà vu. How is business at Deja Vu? The new ferry reservation system doesn’t seem to have hurt business at all. According to Jennifer, “This is the busiest summer on record.” Based on the flow of customers I saw coming into the store, I wouldn’t be surprised if that keeps happening. I have been in Deja Vu and I look forward to another visit. Actually I would love to bring some “off Island” items. Again I always enjoy hearing about Lopeziens and their history!! We’d love to see you and your clothes!